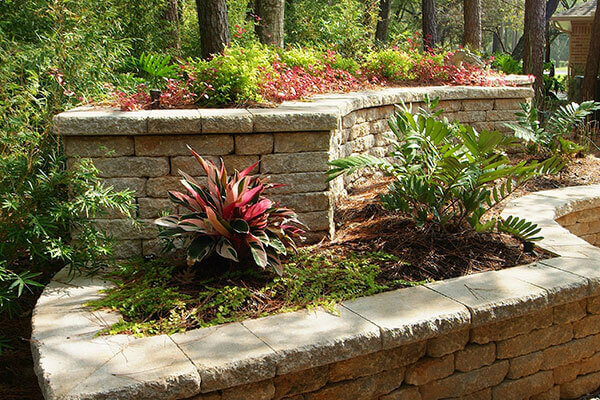 Outdoor Elements is a Houston-based team of professionals who are passionate about creating amazing outdoor spaces. Our team of custom pool builders, landscape designers, outdoor living area specialists and landscape professionals work to create spaces that harmonize with your existing environment. 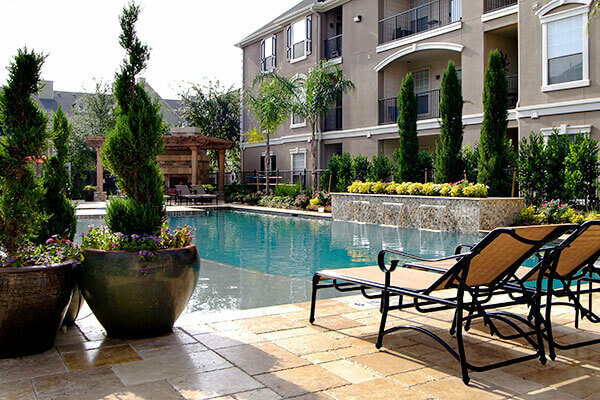 We service residential homes as well as multi-family and commercial properties all over the greater Houston area; from River Oaks, West University, The Heights, Bellaire and the Galleria area to Memorial, The Woodlands, Magnolia, Spring, Sugar Land, Katy and beyond. 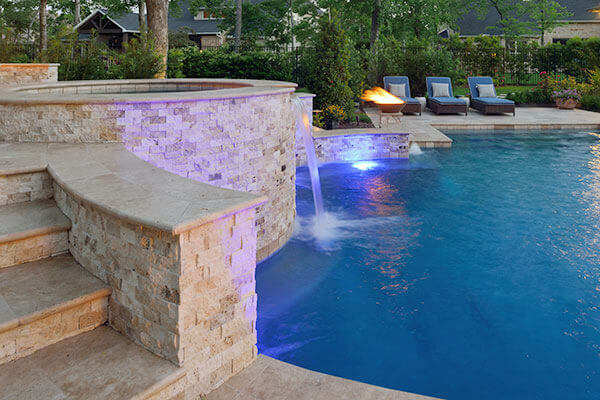 OUR TEAM OF CUSTOM POOL BUILDERS, LANDSCAPE DESIGNERS AND OUTDOOR LIVING AREA SPECIALISTS ALLOW YOU TO DISCOVER THE HIDDEN POTENTIAL OF YOUR OUTDOOR SPACE. From start to finish, our team of skilled craftsmen will ensure impeccable work and the timely completion of your project. Our ability to completely handle every aspect of your job makes for a stress-free experience. Compare Outdoor Elements’ proposal to any other of equal scope and materials, and you will find that we offer unmatched value and quality. 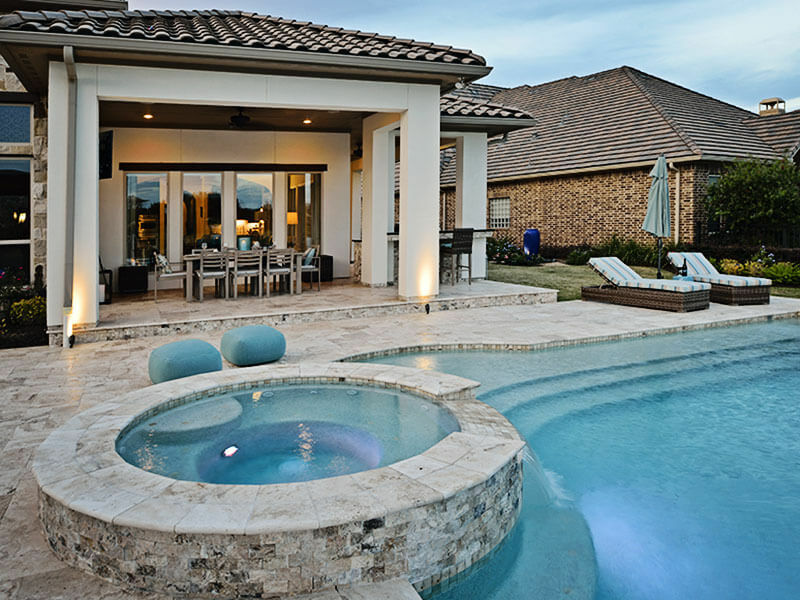 We use the finest stone, coping, tile and other materials to build a pool and outdoor living area that is not only beautiful and unique but will stand the test of time. Need some design inspiration for your outdoor living space? 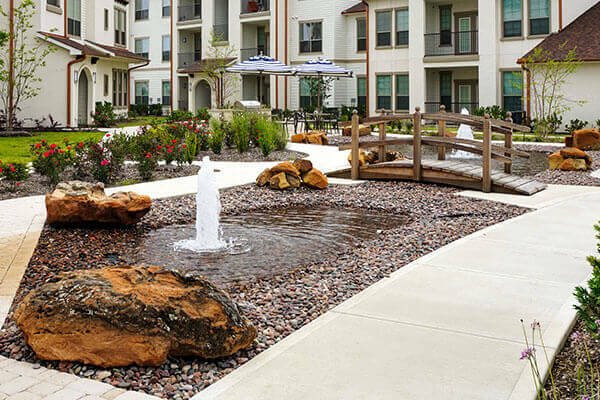 Peruse our galleries for custom pools, outdoor living areas, commercial projects, landscape ideas and more. 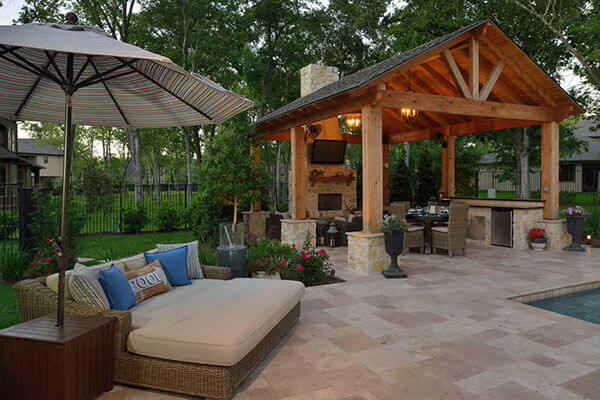 Ready to explore the possibilities of your outdoor living area? We are proud to announce that we have won “Best Of Design” on Houzz®, the leading platform for home remodeling and design. Outdoor Elements was chosen by the more than 40 million monthly unique users that comprise the Houzz community from among more than one million active home building, remodeling and design industry professionals. Thank you to those who view, comment on and save our work on Houzz.